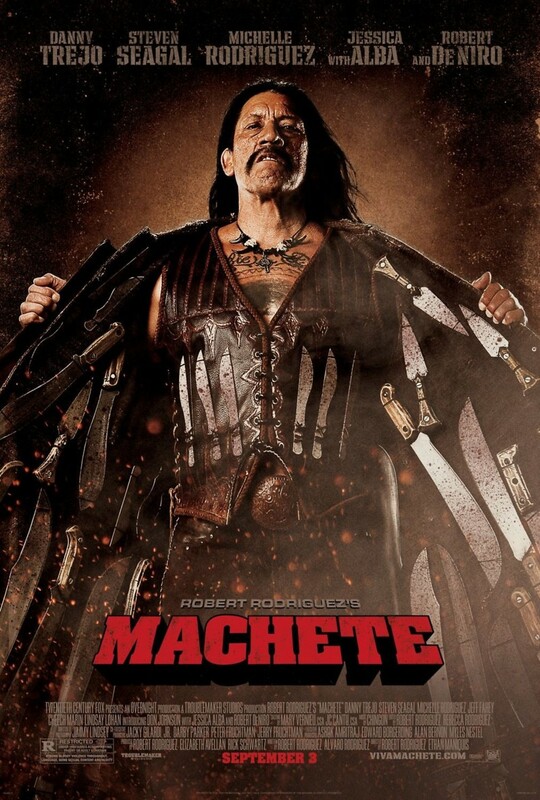 Machete DVD and Blu-ray release date was set for January 4, 2011. Machete Cortez, a laborer in healing since losing his family, is offered $150 thousand dollars to assassinate the fraudulent and dirty senator John McLaughlin. His attempt on the senators life isn't successful at all, and he soon realizes that he is nothing more than a pawn in something much larger going on behind the scenes. Persecution, corruption, brutality, and shocking revelations threaten him from every angle, forcing him to go on the run and into hiding. With no alternatives, Machete, with the help of a few trustworthy men, plots his revenge against not only those who have recently wronged him, but also against someone from his past who has haunted his life since. Machete must also save innocent lives while preventing the election of McLaughlin.